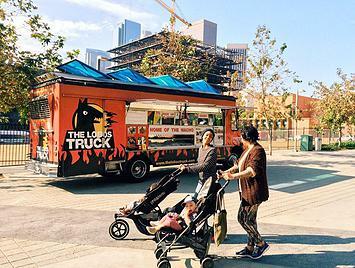 Jasmine Wolf, owner of the Los Angeles mobile food vendor The Lobos Truck, was in a common predicament for many small-business owners. She couldn’t get a bank loan, but she desperately needed cash to keep up with her growing business, which went from one truck to four in a single year. She started taking out merchant cash advances, a form of financing in which the lender advances a certain amount of cash in exchange for a percentage of future sales. But the high daily and weekly payments bogged down her business finances. “It was really difficult for me to ever get enough ahead to be able to do anything fast,” Wolf says. So she found a middle ground between traditional bank loans and MCAs: online small-business loans. She refinanced several high-interest debts with a six-figure small-business loan and line of credit from online lender Dealstruck. She got a lower interest rate, a longer term and more financing to purchase a new truck and launch a retail line of The Lobos Truck signature hot sauces. 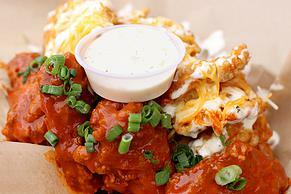 The Lobos Truck in Los Angeles serves up angel wings. Owner Jasmine Wolf refinanced a merchant cash advance with funding from Dealstruck. Around one-third of Dealstruck’s borrowers use their loans to refinance business debt, says Candace Klein, the lender’s chief strategy officer. And up to a fourth of Fundation’s loans go toward debt refinancing, a spokesman said in an email. SmartBiz, an online lender offering SBA loans, has noticed more borrowers using loans to refinance business debt, including merchant cash advances, general manager Evan Singer said in an email. If you have a merchant cash advance, here are some reasons to refinance and tips on how to do it. Lowering your borrowing cost: MCAs are a fast form of financing, but they’re also extremely expensive. The annual percentage rates can range from 60% to 200%, according to a 2014 white paper by the National Community Reinvestment Coalition. Online small-business loans are still more expensive than bank loans, but they’re a lot less expensive than MCAs. APRs for online small-business loans range from 7% to 113%. Lengthening your term: Merchant cash advances typically have short terms, from three to 24 months. But short-term financing solutions shouldn’t be used for long- or even medium-term business investments, says Caitlin McShane, marketing and communications director at the California nonprofit lender Opportunity Fund. California-based businesses can refinance merchant cash advances through Opportunity Fund’s EasyPay loan program, which offers 36-month terms. Boosting your business credit: Merchant cash advance companies can’t report to credit bureaus because MCAs aren’t structured as loans, according to an Opportunity Fund article published by the Federal Reserve Bank of San Francisco in 2015. 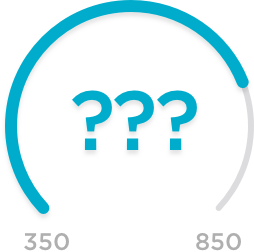 So even if you repay your MCAs on time, your business credit score won’t improve. Some online small-business lenders, but not all, report to business credit bureaus. If you want to build your business credit with small-business loans, work with a lender that reports and make all your payments on time. Although banks offer the lowest-rate small-business loans, it’s unlikely that you’ll be able to get a bank loan to refinance an MCA. After all, if you’ve turned to a merchant cash advance, you probably wouldn’t qualify for a bank loan in the first place. Plus, banks consider the use of MCAs a “red flag” for a business, Klein says. Online lenders that offer term loans are typically willing to help you refinance even if you’ve had an MCA or two. But having more than three at a time is a possible red flag for Dealstruck, Klein says. Having multiple MCAs can also count as a strike against you when applying for a loan from online small-business lenders Fundation and Lighter Capital. Once you choose a lender, the process of refinancing is very similar to getting a small-business loan from scratch. The lender will underwrite you based on your creditworthiness and ability to repay the new loan. In most cases, if you’re approved, the lender will use the term loan to pay off your outstanding MCA balance. Dealstruck typically supplements the term loan with a line of credit to give borrowers extra cash to cover the expenses they used the MCA to pay for in the first place. 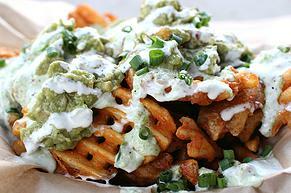 Green dragon “wachos” (waffle fry nachos) are also on offer at The Lobos Truck. Next March, Wolf will celebrate four years in business with The Lobos Truck. She hopes to get a bank loan someday, and the Dealstruck loans have been a step in that direction. Still, she doesn’t regret taking the MCAs because they gave her money to grow when she needed it. If you’re looking for business debt refinancing options, NerdWallet has come up with a list of the best small-business loans to meet your needs and goals. We gauged lender trustworthiness, market scope and user experience, among other factors, and arranged them by categories that include your revenue and how long you’ve been in business. Photos courtesy of The Lobos Truck.